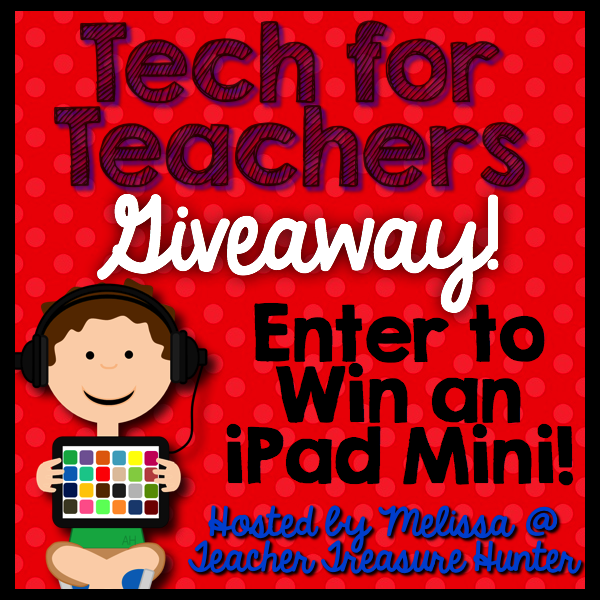 Growing Little Minds: A Totally Awesome iPad Giveaway and Tech Tips! I am so excited to be participating in this giveaway! As a teacher who does not have iPads or iPad Minis for my own classroom, I am so excited to be a part of this great giveaway that can provide one for your classroom! (I guess I'm not eligible to win, so I am pretty sad about that!) We do have iPads at our school to borrow, but it's sometimes hard to plan to use them when you don't have them in your own room. Later this week, I'll be back to share a few of my favorite iPad apps, but for now, I'm going to share a tip that you can use if you are like me and don't have an iPad in your classroom! About a year and a half ago, I received 6 Chromebooks from Donors Choose. I love to use them during my Guided Reading time. One of my centers during Guided Reading is the Computer center. Some of my students use a program called Successmaker for their intervention during this time, but it doesn't work on the Chromebooks because the Chromebooks do not support JAVA. So the rest of my students get on a program called Scoot Pad. Scoot Pad has both math and reading activities available. The one thing I like about Scoot Pad is that the sessions are short- about 5 minutes. This means a student can quickly get on and work to solve some problems, or they can do multiple sessions if they have more time. My favorite part of Scoot Pad is the daily emails I receive- they let me know which students are getting on, and which students are doing well! I know if a student is struggling in a particular area as well. Oh, and did I mention it is FREE?! Yep, it's totally free! If you want to get some technology for your classroom, Donors Choose is the place to get it! I have received so many things from Donors Choose, and I love it! I can get things for my classroom that my students need that I can't afford on my own. I actually love and use Donors Choose so much that I was asked to speak about my experiences with it for a video my district put together to celebrate a 3 year partnership with DC. I'm going to link to the video here, and you can see me in it if you want. :-) I am at 14:20 or so. I am so thankful that they don't show much of me in the video- they show my cute kiddos instead! WHEW! If you can't tell, I was so nervous the entire time. Nobody likes to be ambushed and told they have to be on a video that day! LOL! There are several other teachers who are participating in this giveaway. Many of them have great technology tips for you as well! Go check them out! So you want to win this iPad Mini for yourself? You can enter here! "This giveaway is only open to teachers (classroom and homeschool) who are living in the contiguous United States. The winning entry will be verified and proof of eligibility may be required. Please see the complete terms and conditions at the bottom of the giveaway for more information." I love your computer center! I so wish I had space in my classroom to even think about something like that. We have just enough space for the students and cabinets along the walls with books and supplies. It's a long, narrow room and there aren't any spots to setup any center areas - at least not that I have found yet - - I'm always trying to rearrange things and get more room! You did an awesome job on the Donors Choose video - a natural!